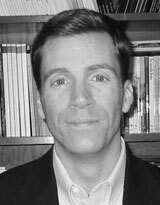 Michael Nye is the former managing editor of River Styx, and has taught creative writing at the University of Missouri, Lindenwood University, and Washington University in St. Louis. His short stories have appeared in Crab Orchard Review, New South, Quiddity, Red Cedar Review, Sou’wester, and South Dakota Review, and elsewhere. Currently, he is the managing editor of the Missouri Review. Nye: Our publication was founded in 1978 in the same way most literary journals are published: a couple of people sat around and said, “Hey, why not?” Thirty three years later, we’re still going strong. The original idea was the same, again, as most journals: discover and publish the finest voices in contemporary literature, the people who write engaging and memorable work that stays with the reader long after the magazine is set down. Nye: We have published many of the finest writers of contemporary literature. These include Richard Bausch, Russell Banks, Joyce Carol Oates, William Gay, David Foster Wallace, Joy Williams, Aimee Bender, Maine Kumin, Ursula K. LeGuin, Bharati Mukherjee, Amy Hempel, Bret Lott, Tobias Wolff, Andrea Barrett, Charles Wright, Philip Levine, Robert Bly, Paul Bowles, and Bob Hicok. This only scratches the surface. But we are probably most proud of being the first publication for an emerging writer. That’s what we hang our hat on. Recent first publications in TMR include Susan Ford, Nathan Hogan, Jeannie Lin, Katie Chase (whose story, “Man and Wife” was anthologized in Best American Short Stories 2008), and Dave Kim. Nye: Every magazine editor will encourage a writer to read a copy of our magazine before submitting, and I do think that’s good advice. Know your market, and be familiar with our aesthetic, which I think both editors and writers sense but struggle to articulate. The second thing is to make sure your work is really, truly, honestly as good as it possibly can be before you send it to us. My old mentor, Lee Abbott, once told me to take a highlight to one of my short stories and mark only the best sentences: when the entire manuscript is covered in yellow highlighter, then and only then is the story done. Hard but true advice that I’ve never forgotten. Nye: Boy, that’s a tough question. The big change in writing has nothing to do with writing, but with accessibility. There are so many wonderful venues for publishing work, and so many MFA programs educating emerging writers, all of which can be sent out into the world through online journals, print-on-demand, iPad and iPhone applications; and despite all the complaints about big publishing houses, there are a wave of university and small presses that are doing phenomenal work, such as Bellevue Literary Press, C&R Press, DZANC Books, Graywolf Press, Open City, Sarabande, Switchgrass, Press 53, and Saturnalia Books, just to name a few of the dozens of great presses that are out there today. Nye: The managing editor is the Swiss Army knife of a literary magazine: we do a little bit of everything. Broadly, I help shepherd four issues to publication each year, in print and digital versions, through all phases of production. I teach our Internship in Publishing class every spring semester per year, and supervise and mentor interns throughout the year. I write annual proposals to NEA, state arts councils, and other granting entities, as well as oversee all grant-funded activities, including seek new revenue sources. I’m responsible for administration of all daily office operations and staff supervision, including coordinating our undergraduate and graduate students – we have, usually, about 35 each semester. I’m also a senior reader for our fiction, keep a toe in our social media and advertising presence, and pick up additional odd projects along the way. EWR: Are there upcoming projects you would like to tell our readers about? Nye: Absolutely! TMR will launch a new website in May 2011, which should make it easier to navigate our site and also lead our audience to great original content, such as our audio stories, our podcast, blog, and our Tuesday “Poem of the Week.” We’re also continuously accepting entries to our Editors Prize, which has an annual deadline of October 1st, and which awards $5000 and publication in three genres: fiction, nonfiction, and poetry. Nye: I’m a writer, too, and my short stories have appeared in a range of journals, such as Crab Orchard Review, New South, Quiddity, Sou’wester, and South Dakota Review, to name a few. I’m finishing work on a novella, which will be the last story in my collection, and working with my agent on our umpteenth edit of my novel. Nye: If anything, I’m surprised at how complex it is. There is so much that goes into acquiring, editing, publishing, and promoting a magazine that I would have never imagined, which can be both frustrating and exhilarating all at once. Nye: Simple: do it. A literary magazine can become tremendously successful and big – like One Story or McSweeney’s – in a short (relatively speaking…) period of time if – and this is The Big If – you are willing to work hard. On the flip side, a literary magazine can be a tremendous amount of fun. In San Francisco, the poet D.A. Powell puts together a terrific magazine called Lo-Ball. The cost for each issue is less than four figures, and once the issue is gone, that’s it, it’s gone. He isn’t trying to make a fortune; he just wants to put together a neat looking magazine with great content: already they have published Erin Belieu, Paisely Rekdal, Derek Mong, Alex Lemon, Kimberly Johnson, Kevin Prufer, and Mary Jo Bang, just to name a few of the marvelous poets they’ve published. So, big or small, literary magazines can still find an active and engaging audience as long as the editors put in the time and effort. Nye: I guess the only other thing I’d want to say to our readers is this: thank you. We exist because you read us, and having the chance to bring four quality issues to you every year is a privilege, and we’re, always, grateful for all your support.